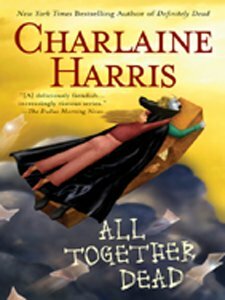 All Together Dead (Southern Vampire Mysteries, Book 7) continues the story of Sookie Stackhouse. In this book Sookie’s telepathic services are required at a vampire convention and trial of the Vampire Queen of Louisiana. The Queen is on trial for the murder of her husband. Sookie must assist in clearing the Queens name. During the convention Sookie uncovers a plot to kill all the vampires at the convention while they sleep. I like this book better than the other books in the series. This book had more plot and less romance crap getting in the way.